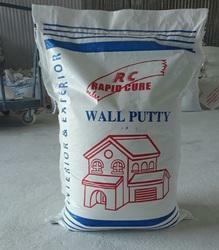 We are a leading Manufacturer of wall putty powder and white cement wall putty from Coimbatore, India. Keeping the diverse requirements of customers in mind, we are instrumental in providing a superb quality assortment of Cement Wall Putty. This Cement Wall Putty is extensively used by our customers as it is helpful for protection of walls from flaking and damaging it. Provided product is inspected on various quality stages by our quality inspectors. 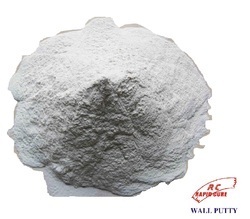 We manufacture both Interior and Exterior white cement based wall putty powder which is very well accepted in the market. The construction industry is booming on a rapid speed and the awareness level of using these powders in the industry has increased which made our product a successful one. We have started this unit as a Forward Integration from our own products and now we are gaining a good response in the market. Looking for Wall Putty Powder ?